Smokey's Round-up celebrates Western Swing with the songs of Bob Wills, Milton Brown, Cindy Walker and more. 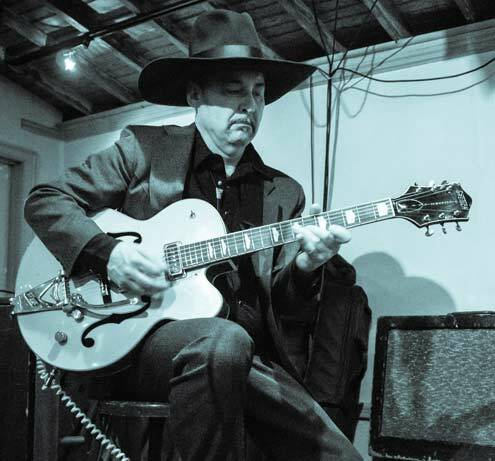 Guitarist Smokey Hormel and his red-hot band play regularly in Brooklyn. My introduction to Western Swing happened by chance at a young age. When I was a teenager looking to study Jazz guitar, a referral from Barney Kessell lead to the good fortune of finding one of the all time great swing guitarists, Jimmy Wyble. Jimmy taught me about Western Swing, two-line improvisation and introduced me to the music of Charlie Christian. I listened over and over again to Charlie's recordings with the Benny Goodman sextet and traded in my Fender Stratocaster for a Gretsch ‘Jazz box.’ I bought an Arhoolie Western Swing compilation that introduced me to Milton Brown and his Brownies, and Bob Wills and His Texas Playboys. I dreamed of one day playing hot swing music all dressed up in cowboy duds. Ten years later that dream came true when I joined LA band The Radio Ranch Straight-Shooters. We played music by Western Swing artists from the 40s. For a few years we opened big shows for various punk rock bands in the L.A. area. Even though I was eventually lured away from the Straight-shooters to play other kinds of music with a wide variety of artists, I always had a deep love of the music of my hero Jimmy Wyble in the back of my mind. In 2006 in New York City I was asked to play some Western Swing for the recording of an episode of the Nickelodeon cartoon The Backyardigans. 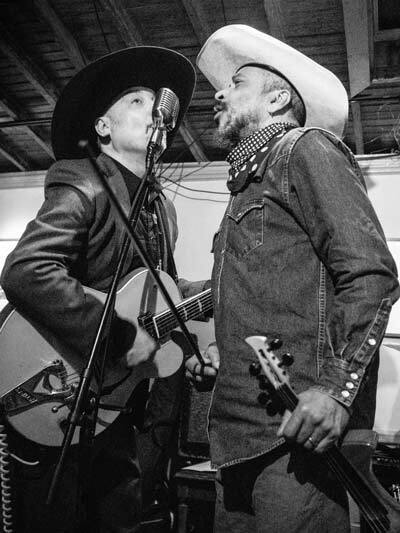 I had so much fun playing with the fiddle player Charlie Burnham on that session that I decided it was time to start my own Western Swing band. We started playing on Wednesday nights at Sunny's Tavern, in the Brooklyn neighborhood of Redhook. There in the corner of an old longshoreman's bar we worked out songs by Milton Brown, Bob Wills, Cindy Walker, and others, as well as some more contemporary songs by my great friend Tracy Theilen. These regular Smokey's Round-up gigs keep my spirits up through hard times, and continue the tradition of this great music that I love so much.